What is a film director? A man who's asked questions about everything. Sometimes he knows the answer. Ah well: a very good learning experience for everyone. 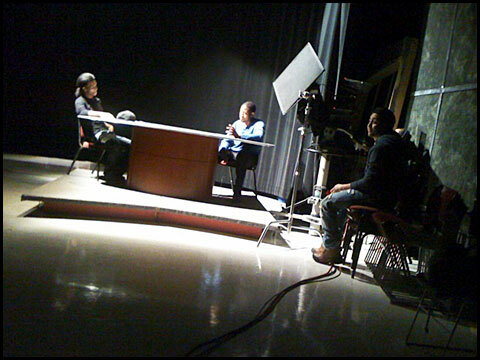 Above: an iPhone snap of today's Television Studio class.